▶ SoldThis listing was sold on Mar 19, 2018 for the price shown here. 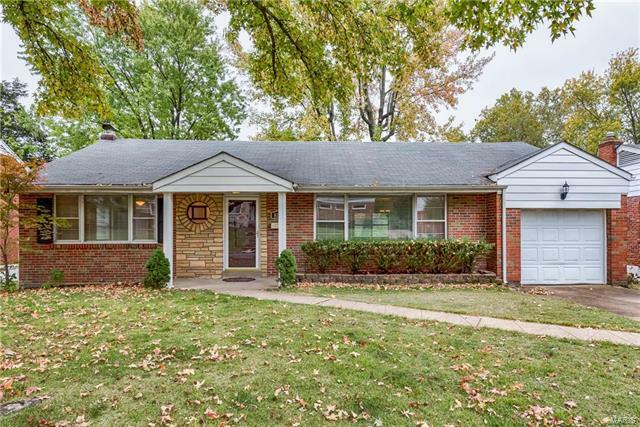 IMPROVED PRICE - Clayton - Spacious brick and stone ranch home in the sought after Clayton School district on a deep private lot. Gorgeous hardwood floors with light streaming in welcomes you to this 3+ bedroom home with 2 1/2 baths. The open floor plan with a contemporary flair flows beautifully and makes for the perfect home for family and entertaining. A huge walk out finished lower level will add to your delight. And of course, what better school district then Clayton, not to mention the very convenient location. Inside find a large open living space for versatile design, an updated kitchen featuring new soft close wood cabinets, quartz countertops and subway tile overlooking the private deep backyard. From the kitchen, access your rear deck for indoor outdoor entertaining and enjoy this private yard with a lower level patio. Master with 1/2 bath, lower level 4th bedroom with full bath, 2 more beds on main level make this a home to love. Clayshire at Clayton Road and Brentwood Blvd.